The beast is said to roam the coastline and countryside of East Anglia, its name possibly derived from the old English word ‘succa’ meaning devil. For centuries, inhabitants of The Suffolk Coast have told tales of a large black dog with malevolent flaming eyes the size of saucers. According to reports, the beast varies in size and stature from that of simply a large dog to being the size of a calf or even a horse. Sometimes Black Shuck is recorded as having appeared headless and at other times as floating on a carpet of mist. According to folklore, the spectre haunts the landscapes of East Anglia, primarily coastline, graveyards, side roads, crossroads, bodies of water and dark forests. 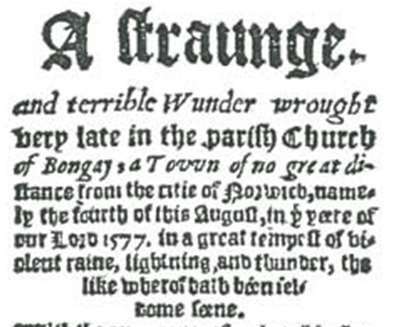 It's alleged appearance in 1577 at Bungay and Blythburgh is a particularly famous account of the beast, and images of black sinister dogs have become part of the iconography of the area and have appeared in popular culture. Legend has it that on 4th August 1577, a large black dog burst in through the doors of St Mary's Church in Bungay to a clap of thunder. It ran up the nave, past a large congregation, killing a man and boy and causing the church steeple to collapse through the roof, before moving on to Blythburgh Church where it mauled and killed more people. Local accounts attribute the event to the Devil - The scorch marks on the door of Blythburgh Church are referred to by the locals as "the devil’s fingerprints" which can be seen at the church to this day. "All down the church in midst of fire, the hellish monster flew, and, passing onward to the quire, he many people slew". According to folklore, the 'Bungay Black Dog' prowls along dark lanes and lonesome field footpaths of The Suffolk Coast, where, although his howling makes the hearer's blood run cold, his footfalls make no sound. If you are unfortunate enough to encounter him it is said that you will soon be extremely ill-fated! 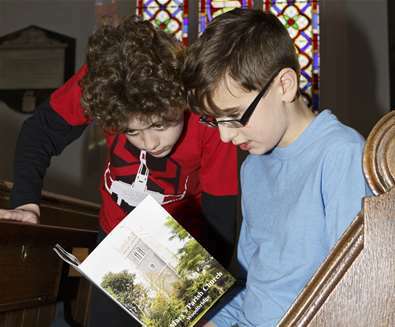 Today, you can see evidence of the mythical creature; the scorch marks on the door at Blythburgh church and throughout the market town of Bungay; look up high at the town's weather vane and coat of arms. Its name also lives on in the Black Dog Running Club, Black Dog Marathon, Black Dog Antiques and Bungay Town Football Club - The Black Dogs. 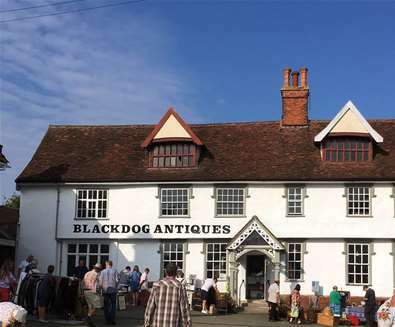 Blackdog Antiques is set at the top of the historic Market Place in Halesworth. Built around 1570 the Grade II* listed property is the perfect setting for the eclectic mix of antiques, vintage and mid-century modern pieces that it houses.